The logo for responsible and sustainable forest management and can be found on many wood and paper products in everyday life. It guarantees for the entire processing and trade chain that there will be no mixing with uncontrolled wood or paper. 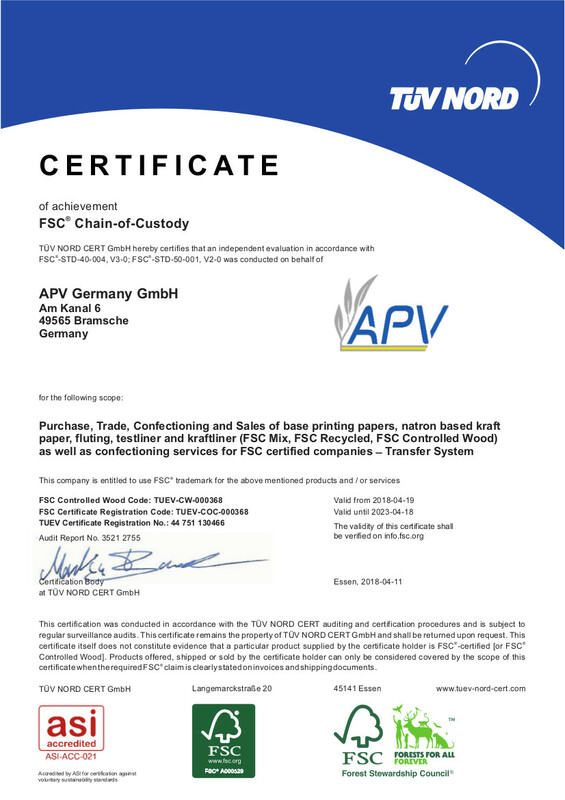 In order to process and market FSC®-certified materials, APV Germany GmbH has had a product chain certificate (CoC) starting from April 2013, since FSC® certified materials must be identifiable at all times throughout their processing to the finished end product.